This briefing uses newly released data on in-kind payments made to governments by oil and gas companies for the right to extract natural resources. The briefing reveals that in-kind payments made to national oil companies (NOCs) in the form of physical oil and gas can account for the majority of the overall payments that these companies make to governments in order to extract resources. 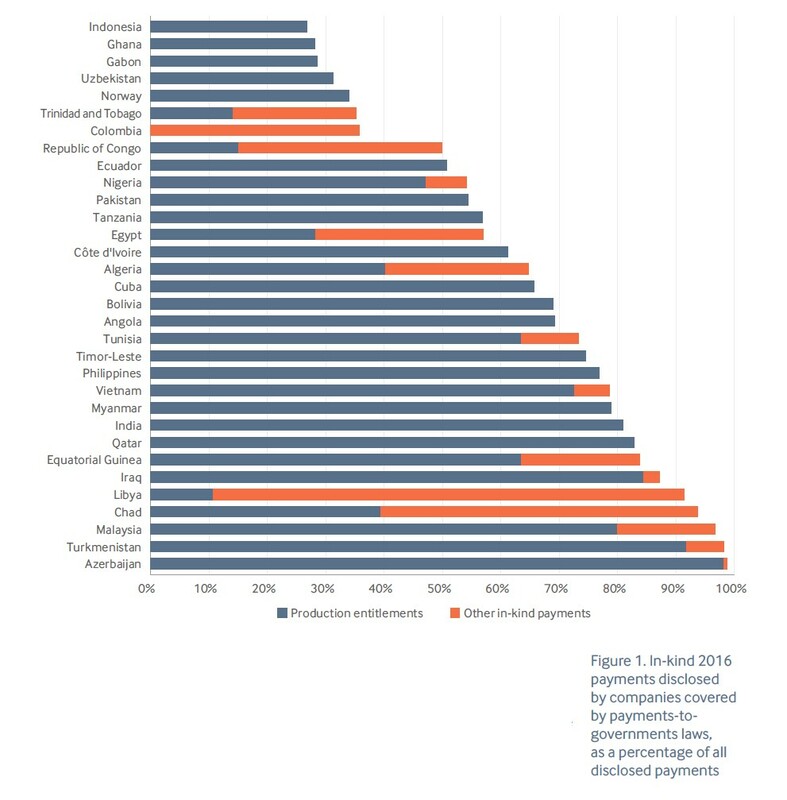 While these in-kind payments received by NOCs are large, the Resource Governance Index (RGI) shows that many NOCs in oil-producing countries score poorly in indicators that assess their governance and disclosure practices in relation to the sale of these important state assets of oil and gas. 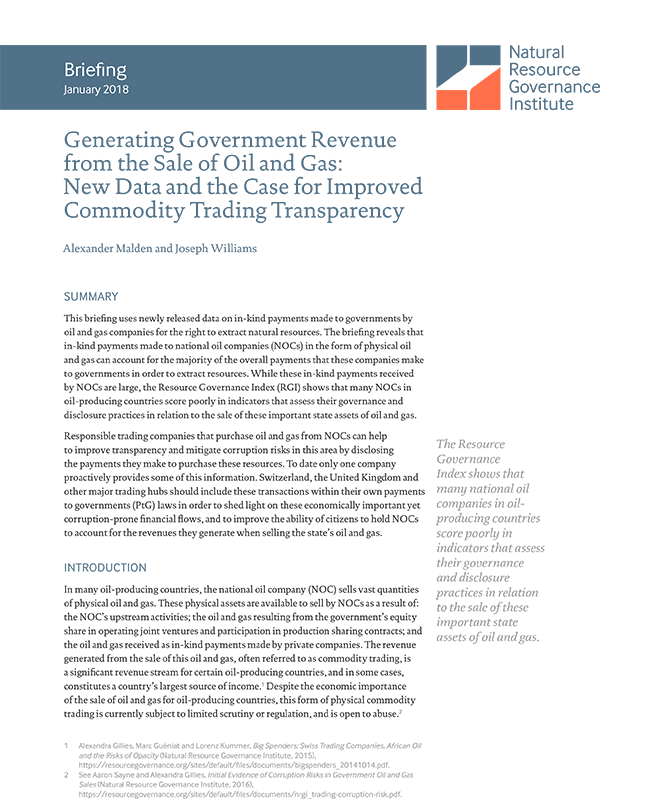 Responsible trading companies that purchase oil and gas from NOCs can help to improve transparency and mitigate corruption risks in this area by disclosing the payments they make to purchase these resources. To date only one company proactively provides some of this information. Switzerland, the United Kingdom and other major trading hubs should include these transactions within their own payments to governments (PtG) laws in order to shed light on these economically important yet corruption-prone financial flows, and to improve the ability of citizens to hold NOCs to account for the revenues they generate when selling the state’s oil and gas.